And we did. And then we tried something else. I bet our first few truck campers had a dozen holding tank treatments going. We later learned that you’re not supposed to change holding tank solutions all the time. For best results, the advice is to pick one and stink to it. I mean stick to it. 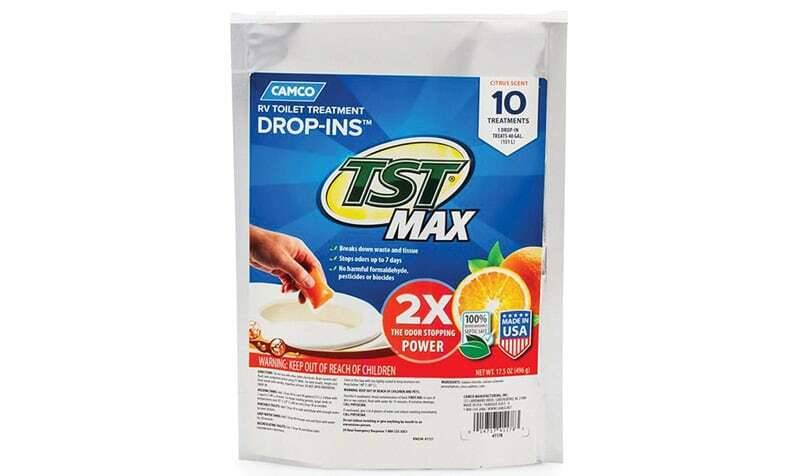 We eventually settled into using TST MAX Orange Drop-Ins. They work well, are readily available at Walmart, and seem reasonably priced at about $10 for 10. If necessary (hot weather, long stretch between dumps, etc. ), we’ll use two, but most of the time one drop-in does the trick. 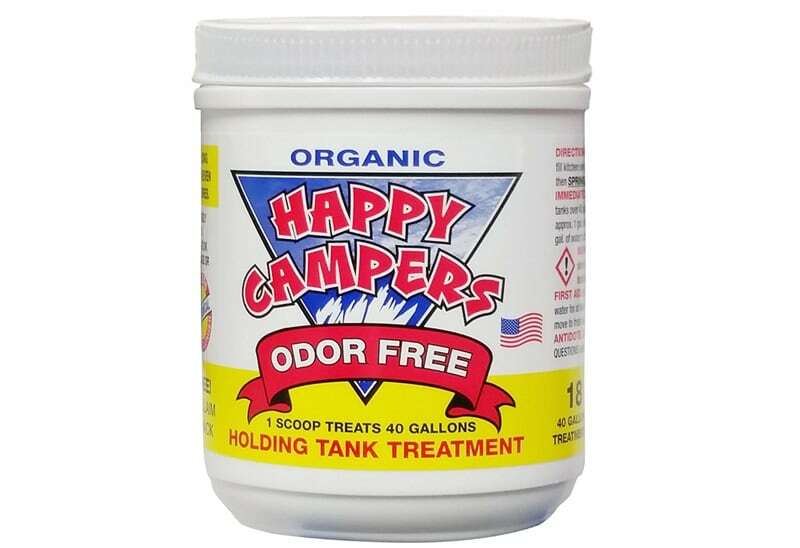 At one point we also were happy with Happy Campers Organic RV Holding Tank Treatment. I think we would use that all the time if it were more readily available. I won’t say it turned our poo in poo-pouri, but it did the job extremely well. Without going into poo much detail, tell us which black tank treatment you use in your camper, and how well it works. We like the TST MAX Orange Drop-Ins, but are willing to bet there’s something better. After all, we don’t like no stinkin’ holding tanks! This QOTW is now closed. Click here to read the responses in, “Recommended Holding Tank Treatments For RVs and Campers“. Home » Truck Camper Magazine Blog » What’s In Your Black Tank?